Toronto was too much fun. Hence the lack of pictures accompanying this post! We spent five whole days exploring the city, eating delicious food and ironically partying with friends from Winnipeg. Neal’s brother and his fiance graciously put us up in their spare bedroom, chauffeured us around and showed us a funky side of Toronto that I honestly didn’t know existed. It was a real treat to hang out with those two all week long. Once we got to Toronto our schedule became immediately more relaxed and we finally settled into vacation mode. The only must do’s we had in mind were: a trip to Canada’s Wonderland, a visit with Neal’s Great Aunt and seeing our friends Mobina Galore play a show in a city-wide music festival that was happening while we were in town. We checked everything off that list and then some. Our first day exploring took us to Kensington Market, an eclectic area filled with specialty food shops, restaurants, bars and one-off stores. We spent the better part of a day wandering around, sipping on coffee and buying several knick-knacks and art prints. The area is quite large, spanning several blocks it was full of “hip” stylish people and reminded me of bigger and better Osborne Village (my Winnipegger comparison). We finished off the night with my first ever Ethiopian food experience and some drinks at The Clinton where our friends were performing. In an hilarious coincidence, six of us from Winnipeg–all on separate road trips–converged on Toronto at the exact same time, leading to some hometown bonding time! 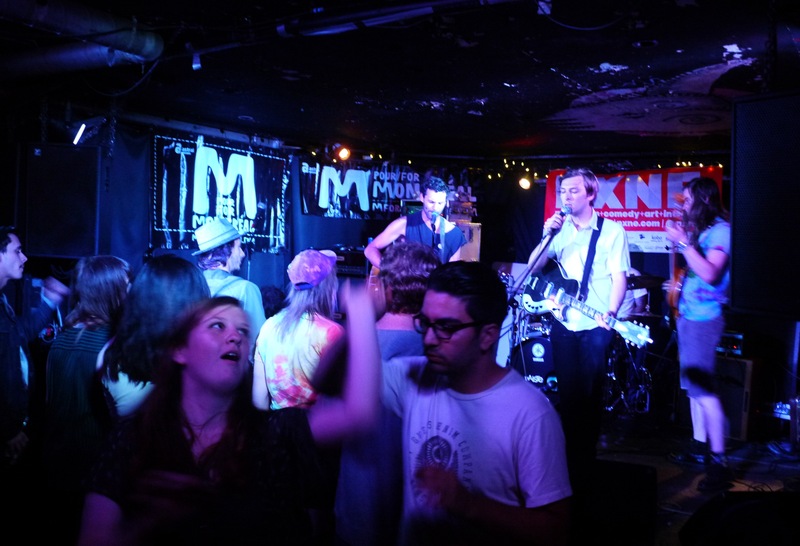 Two of the six were there as part of the North By Northeast music fest, which has tons of venues in downtown Toronto and features a variety of up and coming talents from all over the world. 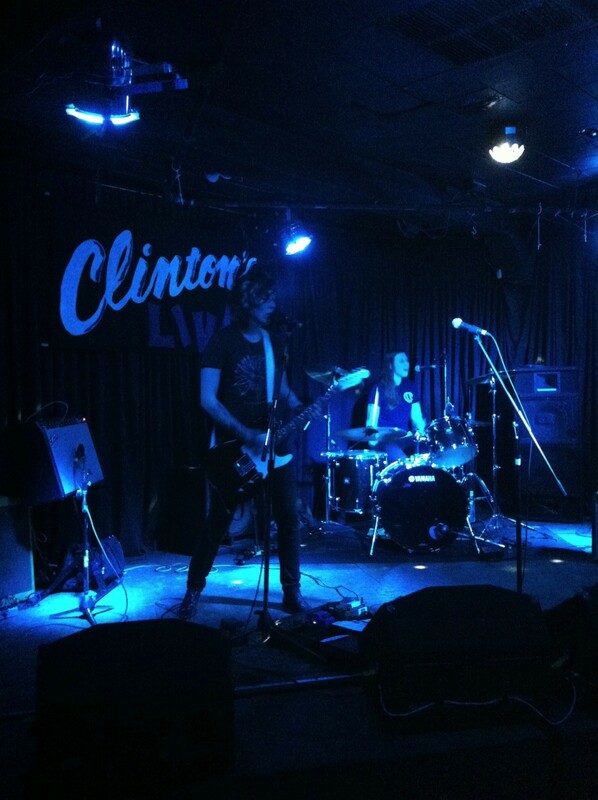 It was another perfect excuse to listen to live music all week long. 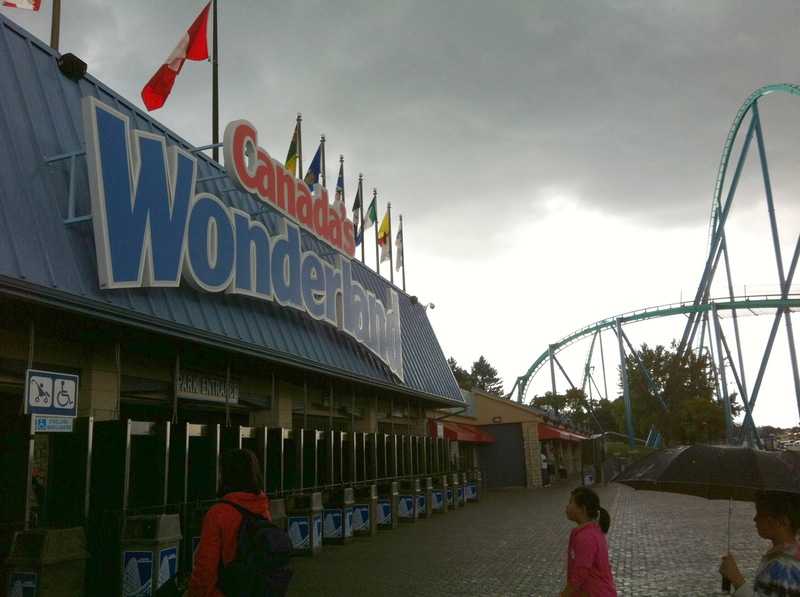 Our day at Canada’s Wonderland couldn’t have worked out better, and is one of my favourite memories of our trip. Since we went in the middle of the week, on an overcast day, before school was out for the summer, our longest time spent in line was 20 minutes. We spent the better part of the day riding coasters and I got to try the biggest rides in the park multiple times. Before that I had only been on roller-coasters at the Ex or . . . Tinker Town, so, I was glad to find out I hadn’t developed an adult fear of heights or motion sickness. Still, after several hours at the park we all decided our bodies had been thrown around enough for one day. The calmer aspects of our time in Toronto were also some of the funnest. I loved meeting Neal’s extremely sweet Great Aunt, who is the family historian and gave me a cole’s notes version of their family tree. We also got blessed with fantastic weather and spent an entire day in our hosts backyard being fed decadent snacks and blue cheese burgers, followed by several rounds of the most confusing board game I have ever played. Keeping with the food theme, I wish I had kept track of all the restaurants we went to while we where there, at this point it’s just delicious memories of ribs, sushi and perogies. When it finally came time to head home I was caught off guard by how sad leaving made me. The fact that Toronto surprised me in such a positive way made me fall in love with it a little bit. It wasn’t the big city I was expecting and coming straight from New York made it so manageable in comparison. Even the subway system was easier! I really can’t wait to go back. Thanks for the support Johnny! That’s why you’re my number 2!